A fun evening in summer, when growing up was having chilled falooda made for us by mom and her dear friend with whom she traded many food secrets. This drink of Persian origin was made by them without deviating from the authentic flavours.That’s probably why, for me, a falooda tastes best with the flavours of rose and the texture of the wobbly jelly, the squeaky bubble like sabja seeds and long strands of glass noodles. Now back then these glass noodles weren’t easily available in Coimbatore, so Anila aunty as we fondly called her, would ask her relatives to bring packets from Bombay. And thus we were treated year after year to pink, delicious faloodas. To this day I refuse to have the memory of this special drink tainted with unfamiliar flavours like pomegranate, mango, strawberry and whatever else folks choose to jazz it up with ! While slurping up the falooda, I was always aware of the small gelatinous seeds that went in with every mouthful. Since my mother and her friend simply referred to them as falooda seeds and I never really saw them in any other dish…it wasn’t something I thought about. Anyway the point of my fascination was the sabja seeds. I love to watch it swell up within minutes of being soaked in water. A lot of folk these days do confuse the sabja seeds with the chia seeds because of the size and the similar properties when soaked in a liquid. While they do originate from the same family of herbs, the sabja is of Indian origin.The sabja seed is a natural coolant and has a soothing effect on the stomach. It is also said to be highly beneficial for skin and hair and a good source of vitamins and iron. Within minutes of being soaked in water, the black seeds puff up and form a white jelly like coating around and have a bouncy feel in the mouth. They do impart a faint basil/tulsi flavour which is refreshing. The chia seed on the other hand is of Central American and Mexican origin, an ancient seed which is now among the list of super seeds made popular world wide. It is supposedly great for improving stamina and loaded with antioxidants. Chia seeds maybe the same shape as the sabja seeds but the colours go from pale cream to a dark brown. Also chia takes longer to soak and swells up much more than the sabja seeds. Chia seed pudding is now a popular breakfast option due to the ease in preparation and great taste.Topped with a variety of fruits, nuts and enriched with coconut or almond milk, the chia pudding pictures on instagram are simply delectable. While it is something that I love to have when I’m travelling abroad, back home, the sabja seed is what gets my vote. Eating local is the food philosophy advocated by popular celebrity nutritionist Rujuta Diwekar. It’s a mantra that makes complete sense and is definitely a thought process that I apply to the best of my ability on a daily basis. 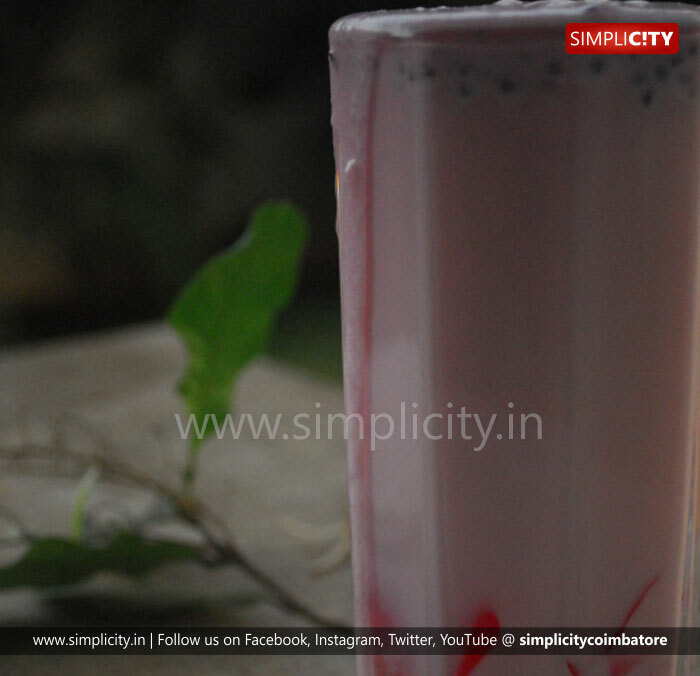 My sister-in-law makes a summer cooler with tender coconut water and sabja seeds. A cold glass of it really does help combat the scorching temperatures. 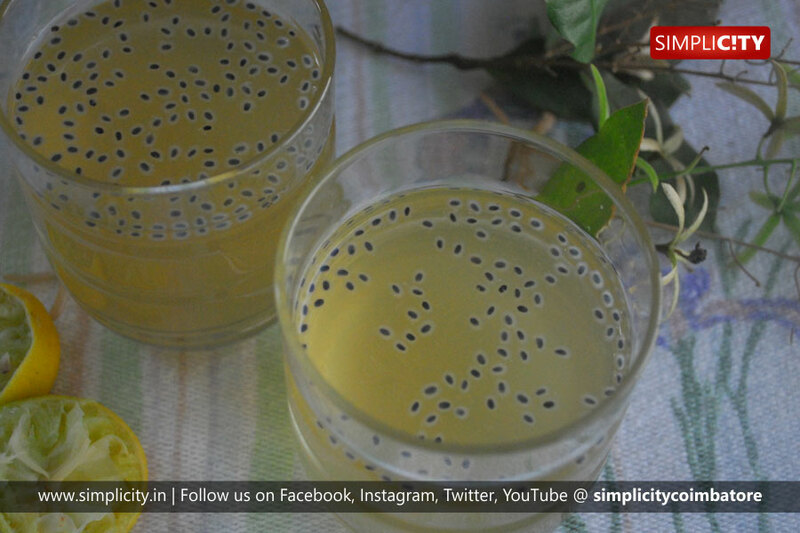 We also like to add the soaked sabja seeds to a glass of lime juice. After all, it’s not like we can have a falooda indulgence every day. The falooda making is a time to enjoy a summer weekend with the kids, getting the hands sticky, ending up with a bit of pink froth on the tip of the nose and making memories to last a life time. It’s a good way to introduce the sabja seed like my mother did with me. As an adult it helps me in adding a familiar ingredient to my diet in a healthier manner minus the ice cream and jelly ! 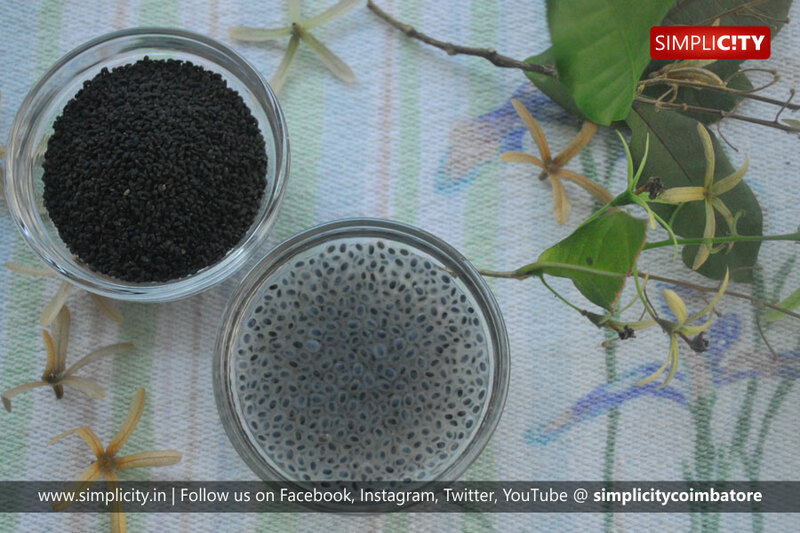 Do experiment with sabja seeds this summer.A packet of 100 gms goes a long way. Start with soaking half a teaspoon full. Despie the vagaries of weather, it is entirely our responsibility to maintain the body at an optimum working condition.Stay cool and keep fit !